Ryan Lee West, Rival Consoles izenaz ezaguna den Londreseko ekoizlea, sintetizadoreekin soinu gizatiarrak eta atmosferikoak sortzeagatik nabarmentzen da. Soinu elektronikoen sorta zabal batekin esperimentatu arren, musika organikoago bat sortzeko gurak ideia goiztiarrak instrumentu tradizionaletan garatzera bultzatzen du maiz, esaterako, gitarran edo pianoan. Oso gutxtitan aipatzen da Rival Consoles Erased Tapes-eko lehenengo musikaria izan zela, Aparatec izenarekin maketaz betetako CD bat aurkeztuz eta, horrela, Robert Raths fundatzaileari diskoetxea sortzeko inspirazioa eskainiz 2007an. Westek berak Max/MSPn programatutako ikus-entzunezkoek, Moogfest, FORM, Mutek, Big Ears, Lovebox eta Berghaineko Pop-Kultur bezalako jaialdietan jotzea eta Clark, Nosaj Thing, Luke Abbott eta Kiasmos artistekin kolaborazioan birak egitera ahalbidetu dute. Bere disko berria, Persona, apirilean argitaratu zen eta zuzenean aurkeztua izango da hurrengo hilabeteetan. El productor londinense Ryan Lee West, conocido como Rival Consoles, destaca por hacer que los sintetizadores suenen humanos y atmosféricos. A pesar de experimentar con una amplia paleta de sonidos electrónicos, su constante deseo de crear un sonido más orgánico y humanizado hace que West a menudo desarrolle ideas iniciales en instrumentos tradicionales como la guitarra o el piano. Raramente se destaca que él fue el primer fichaje de Erased Tapes con un CD de demos bajo el nombre Aparatec que inspiró al fundador Robert Raths para crear el sello en 2007. Ofrecer elementos visuales autoprogramados en Max/MSP le ha valido apariciones en festivales de música de todo el mundo, incluyendo Moogfest, FORM, Mutek, Big Ears, Lovebox y el Pop-Kultur Festival de Berghain, así como giras con Clark, Nosaj Thing, Luke Abbott y Kiasmos. Su nuevo álbum, Persona, fue publicado el pasado abril y será presentado en vivo a lo largo de los próximos meses. 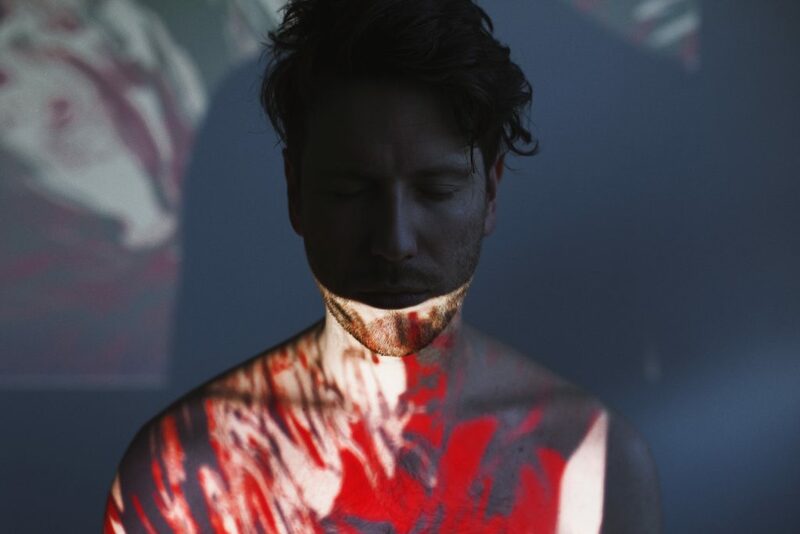 London-based producer Ryan Lee West, better known as Rival Consoles, is notable for making synthesisers sound human and atmospheric. Despite experimenting with a broad palette of electronic sounds, his consistent desire to create a more organic, humanised sound sees West often draft early ideas on traditional, acoustic instruments like the guitar or the piano. It is rarely reported that he was Erased Tapes’ very first signing, with a CDR of early demos under the name Aparatec that inspired founder Robert Raths to start the label in 2007. Featuring self-programmed visuals in Max/MSP has earned him appearances at music festivals around the world, including Moogfest, FORM, Mutek, Big Ears, Lovebox and Berghain’s Pop-Kultur Festival, as well as tours in support of Clark, Nosaj Thing, Luke Abbott and Kiasmos. His new album, Persona, was released last April and it will be presented live in the following months.